It’s no secret that the President of the United States is one of the most protected people in the world, whoever is in office. This remains true even when they are out for a jog, but especially when they are out for a drive. See the POTUS can’t just hop in a car and head on over to the store on a whim. There are massive security and safety protocols to ensure the President’s safety. The US Presidential Motorcade may be simultaneously the safest AND the riskiest way for anyone to travel in the United States of America. It’s essentially a whole fleet of vehicles that make up a mobile and armored White House, with contingencies upon contingences for all sorts of circumstances the President and whomever they are traveling with should find themselves in. Far from being a simple lineup of cars things are a little more complicated. The US Presidential Motorcade is made up of a pretty big fleet containing nearly every vehicle class.For the most part the exact formation is dependent on the “mission” (destinations) and who exactly is traveling with POTUS. It also changes for security reasons, to keep things less “predictable” and thereby more safe. 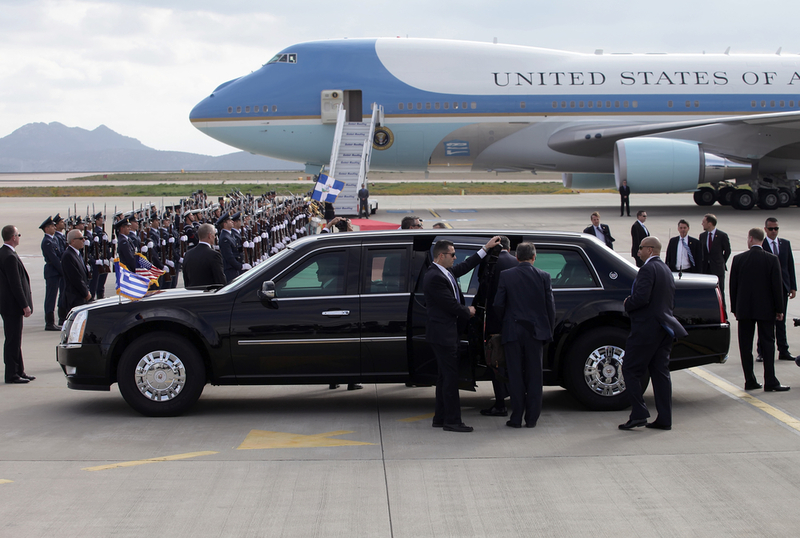 Oftentimes, one will see extra cars and vehicles coming in and out of the motorcade and at different positions. Another neat fact is that even with the presidential vehicles on the move, there is a chance POTUS won’t actually be on board one of them. The Secret Service has a reputation for being masters of protective details, and just because the Presidential limousines are in motion, the President isn’t necessarily inside one of them. And depending on the situation, this motorcade can be re-formed to optimize the level of safety and efficiency required of the President when they are on the road. 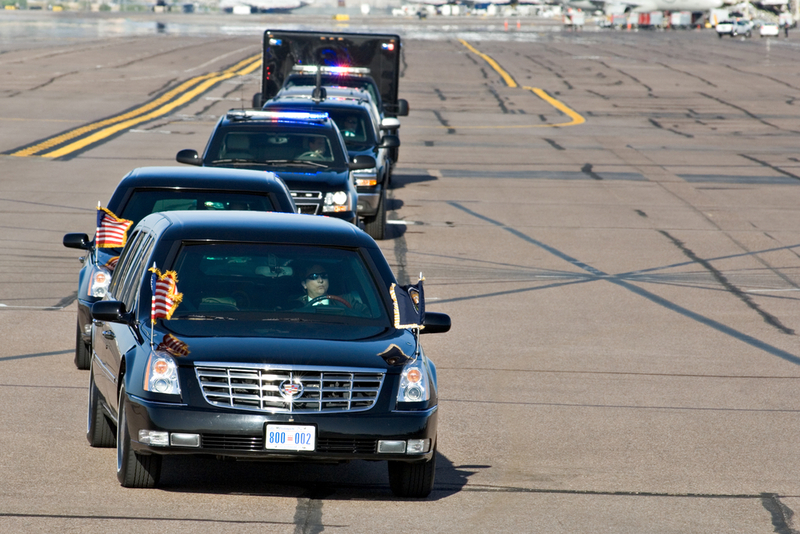 What cars make up Presidential Motorcade? Route Car & Pilot Car: These are the vehicles you see at the front of the pack. According to public reports, these cars go ahead of the entire motorcade to check the scheduled route in real time. They help provide additional navigation to the fleet in case they need to make any changes. They are in contact with the rest of the motorcade. 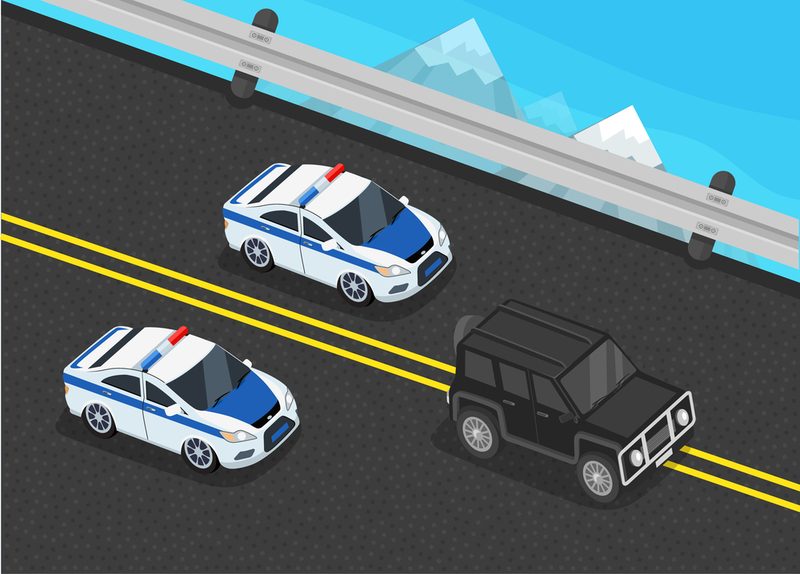 The distinction between the route and pilot cars is that the route car is minutes ahead of the fleet while the pilot car is only mere seconds ahead so as to stay in better contact with Secret Service and other law enforcement. 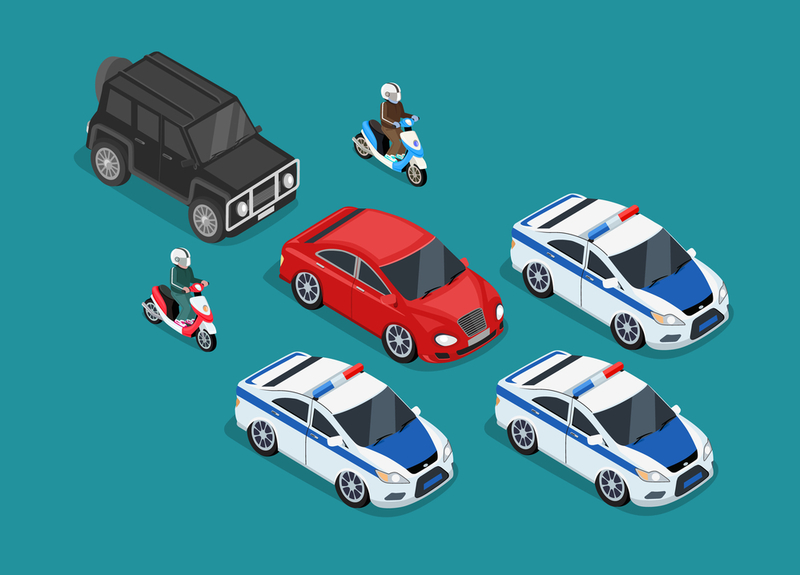 Sweepers:Law enforcement gets involved with the motorcade and in the case of “sweeper” vehicles, these are mostly police-issue motorcycles and patrol cars towards the front of the motorcade. The flashing lights and occasional sirens are meant to keep the road clear so that the whole motorcade can remain at a consistent speed (the President has to get to where they are going on time after all) and general unencumbered by road traffic and other obstructions. If you want to blame anyone for why traffic is jammed when the president is in town, blame the sweeper vehicles. Lead Car:It sounds weird considering the route & pilot cars are 1st in line but the “Lead” car is the actual brain of the operation. That means the route and pilot cars are the “eyes.” This is the car that is the main guide and decision maker for the total commute. 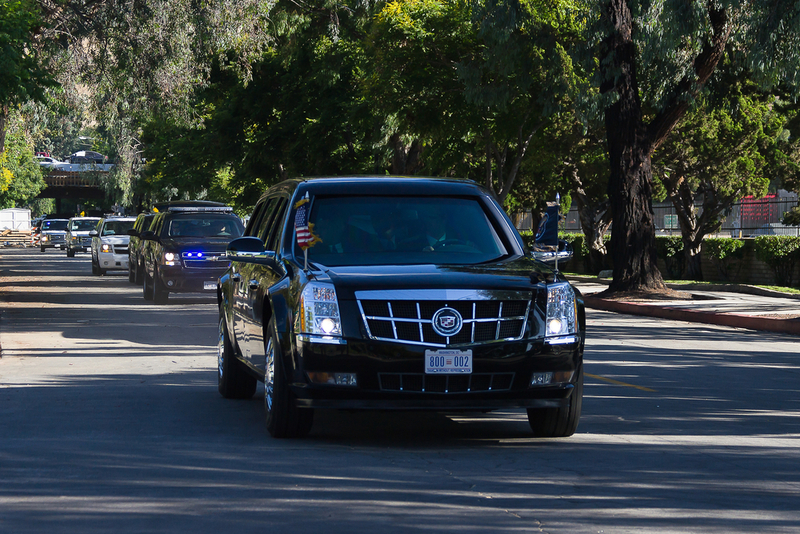 It even acts as a sort of “buffer” between what’s up ahead and the president’s cars. Most of the time this can be identified as the secret service’s “Suburban”, but it has also been a local marked police car as well, depending on where the president is. 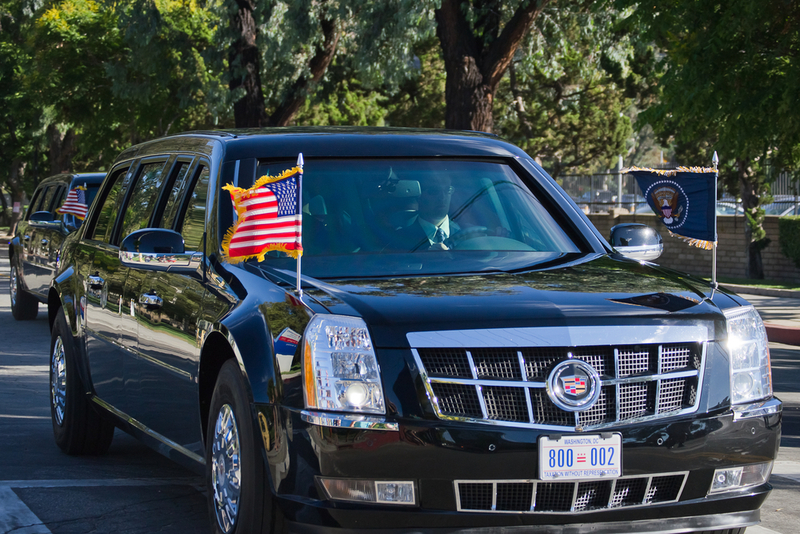 Presidential Limousine: The actual codename for the president’s car,”Stagecoach” is sometimes called “Spare.” Typically this car (or cars) is snuggled right in the middle of the entire motorcade. Though it may be styled like an oversized Cadillac limousine it’s actually closer to an elongated SUV, built for luxury, survival and security. “The Beast,” as it has become known as, is equipped with all sorts of unique gadgets, modified capabilities and enough classified countermeasures to make even James Bond or Batman seem unimaginative. The president’s signature armored limousine “The Beast,” was first introduced in 2009 during then-President Barack Obama’s inauguration. Don’t be fooled by photos, this thing is the massive lovechild of a Cadillac STS and a military-grade SUV. Ok as cool as all that is, it does have a few issues. Since it is more akin to an armored assault vehicle than a luxury sedan, it is notoriously difficult to drive.It is extremely heavy and is also prone to breakdown, requiring more maintenance than nearly any other vehicle that John Q Public can buy at a dealership. While “The Beast” is arguably the toughest and most advanced presidential vehicle thus far, there are only a few of them in active service. In fact, the Secret Service only brings it out on occasion. Most of the time you will see the President driving the older 2005 Cadillac DTS inspired limousine, otherwise the Secret service opts to drive the president around in one of their armored Suburbans that are regularly in service. Back to the matter at hand, whatever car the president is driving in, the codename “spares” is used to refer to the identical vehicles accompanying the one carrying the president. Sometimes those cars are used as a backup in case of breakdown or accident, other times they are used as security decoys. Whenever the motorcade is ready to move, the highly trained secret service drivers play their own kind of motorsport in a way. This is what is referred to as the ‘shell game,’ which is a series of roving and weaving maneuvers that have been practiced, rehearsed and choreographed over many years. The motorcade’s main vehicles: Stagecoach and Spares, are all shuffled in and out in different orders to confuse would-be attackers (aggravated by the identical plates). Since even before the election there were rumors that the Secret Service had started building and testing a new Presidential limo that was set for the 2017 Inauguration. Though it is not replacing “the Beast” it is expected to replace the 2005 DTS-style armored limousines that were active for more than a decade. The level of technology and automotive engineering, as well as the organized driving that goes into protecting the President on the road is nothing short of amazing. 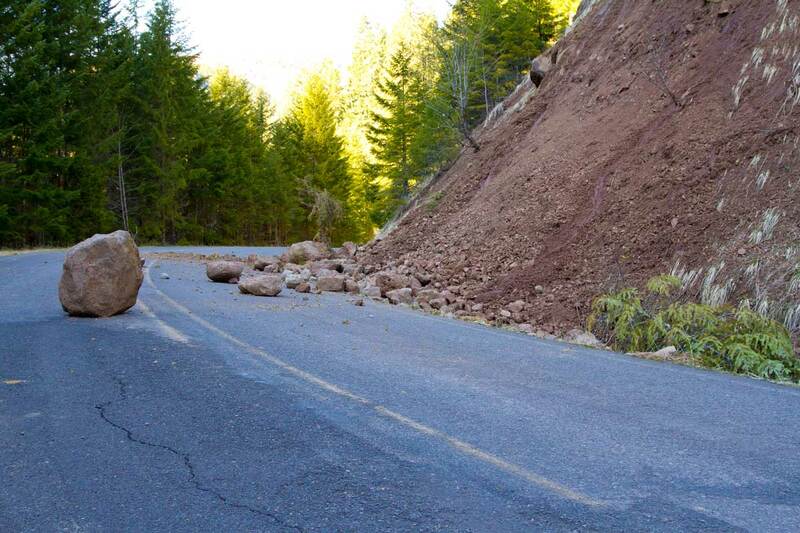 Our tax dollars at work! (joking). Far from just a way for the head of state of the United States to get around, the Presidential Motorcade is almost a tradition.A traveling show orchestrated to be a symbol of sorts to the American people. Everyone involved in the making of this motorcade is arguably the best at what they do. Every time the motorcade is sent out, the world gets to watch why this is the case.